As part of a university course project I’m involved in which entails presenting the Catholic and Christian faith in the modern world, I recently took a trip down to the local university here in town and interviewed some of the students there. I interviewed eight people whose religious beliefs were quite diverse. 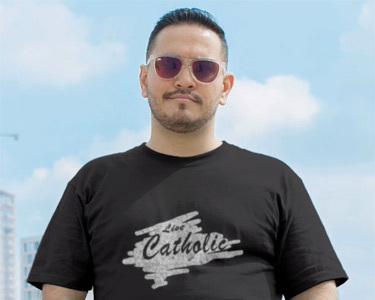 Some were non-practicing Catholics, one claimed to be more “spiritual than religious,” one claimed to have no religion at all, and others didn’t self-identify with any particular religion. When I did the interviews, I began by asking this question: “What do you think about religion?” In the answers the interviewees gave, I quickly noticed strong relativistic tendencies toward religion in all their responses. This podcast explores what relativism is, its affects on how people view religion, and how, ultimately, it is spiritually damaging to the human person.